Castle Comfort Stairlifts offers top brand stairlifts, keen prices and fast installs for all those seeking stairlifts in Maidenhead, Berkshire. And all work comes with our no-quibble guarantees and famous customer service satisfaction. Welcome to Maidenhead in Berkshire where the retired population is just over 15,000 of the ever-changing population of 78,000. It is located on the River Thames about 25 miles from London. If you are retired or have a mobility problem – that’s more than 400 of you - Castle Comfort Stair Lifts can help. We have been supplying stairlifts to the UK since 1999. During that time we have built up a sound reputation and are now the national agents for all UK manufacturers. 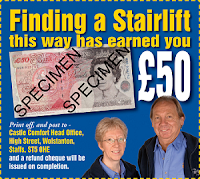 What we don’t know about stairlifts isn’t worth knowing! If you’d like us to share some of our knowledge with you, please give our local office a call on 01865 477 004. History – what’s in a name? How towns get their names is always fascinating and we probably never consider that they may have changed over the years. The name Maidenhead comes from Maidenhythe meaning ‘new wharf’ and refers to the riverside on which is built. We are going back probably to Saxon times when the joining of several small communities including Bray and Cookham, when a bridge was built across the Thames replacing a ferry in 1280. This is when it became known as Maidenhythe – ‘new wharf’! With the Great West Road diverted over the bridge taking travellers to Reading, Gloucester and Bristol, Maidenhead grew up around this point. It became a stopping point for coaches on their journeys between London and the west. Maidenhead’s NatWest Bank on the High Street has royal connections! The building used to be the Greyhound Inn and is where King Charles I met his children for the last time before his execution. This was in 1649 and there is a plaque there today to commemorate this. Another building with a chequered history is Skindles Hotel in Maidenhead which was originally known as the Orkney Arms. It stands on the banks of the River Thames and it was William Skindle who turned it from an old coaching inn into a fashionable hotel in 1833, hence its name. In the 20th century its notoriety was for ‘adulterous assignations’. 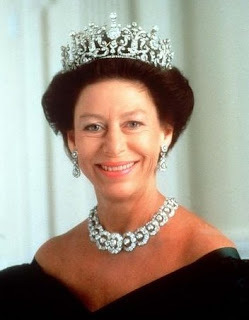 Winston Churchill and Princess Margaret were amongst its guests and The Rolling Stones and The Strawbs played there. 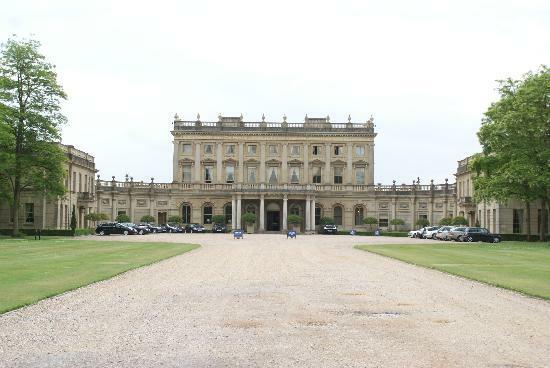 Cliveden House was the home of the Astors; now a Grade I listed building turned into a luxurious country house hotel surrounded by formal gardens with views across the river. 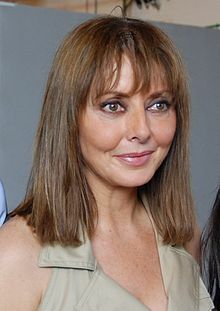 Guests of Cliveden have included every Monarch since George I, Charlie Chaplin, Winston Churchill, Harold Macmillan, President Roosevelt, George Bernard Shaw, John Profumo and Christine Keeler. Boulter’s Lock on the River Thames at Maidenhead is both a lock and a weir. The lock was originally built in 1772 but some years later, it was decided to build it on the other side of the river; this move caused the creation of Boulter’s Island popular for boating parties especially after Royal Ascot. An intriguing solution to reduce the congestion at the lock at the beginning of the 20th century was introduced – a sort of lift! A moving ramp of wooden slats and chocks to stop rowing boats rolling over was constructed as a lock ‘bypass’. It worked in a similar way to an escalator as boats simply rowed towards it and were carried higher whilst the people in the boat could remain in place. Operated by an electric motor, the ‘boat lift’ opened in 1909; no one is sure when it stopped operating but you can still see where it was at Ray Mill Island. 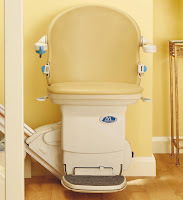 Even though the first modern stairlift was invented not much later than the boat lift in the 1920’s, Castle Comfort Stair Lifts are definitely still going strong supplying modern electric and battery operated stairlifts. The stairlifts we supply maybe straight, curved or perch for those of you who find sitting difficult. Before you make a choice, we need to consider several things: the cost, the size of your staircase and weight rating. Our information about costs is all clearly laid out on our site; prices start from £895 for a reconditioned stairlift and upto £2,650 for a curved stairlift. Curved stairlifts are always more expensive because they are tailor-made to fit your staircase. Take a look at the grants that maybe available to you or 0% finance and don’t forget to use the £50 voucher you’ll find at the top of this page. Maidenhead is right in the middle of the M4 corridor also known as Silicon Valley; other Berkshire towns that are also located in this corridor are Slough, Bracknell, Reading, Windsor and Newbury. Maidenhead's industries include: software, plastics, pharmaceuticals, printing & telecommunications. Many people from Maidenhead commute to work either to London or to Slough and Reading. The average house price in Maidenhead is almost half a million pounds. · TV Dragon Peter Jones is from Maidenhead and was set to become an entrepreneur from an early age; his first dalliance with business was at 16 when he set up his own tennis academy! Here at Castle Comfort Stair Lifts we hope you’ve enjoyed our short tour of Maidenhead with some interesting facts thrown in. Don’t forget to checkout our founder Keith Simpson’s short video which explains how and why he got involved in the stairlift industry. If there is anything else you’d like to know, if you’d like you home assessed for a stairlift, or if you are ready to choose a stairlift, please give our local office a call on 01865 477 004 now.